The final installment of our spring preview has finally arrived, with amazing picture books, early-readers and middle grade, and YA titles that will delight readers of all ages. Little Brothers and Sisters (April), by Monica Arnaldo, starts with four pairs of siblings in and around an apartment complex, each expressing through play and daily life the pleasures and pitfalls of living with and playing with siblings. 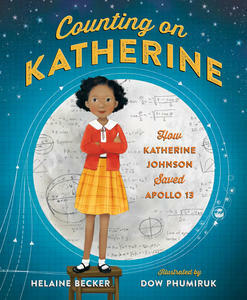 In Counting on Katherine (June), Helaine Becker tells the bold story of Katherine Johnson, an African-American mathematician who worked for NASA during the space race and who was depicted in the film Hidden Figures, with illustartions by Dow Phumiruk. And Lana Button captures the apprehensions of a young student facing a substitute teacher for the first time in My Teacher's Not Here! (April), illustrated by Christine Battuz. 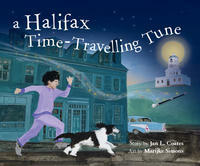 Award-winner Jan L. Coates' A Halifax Time Travelling Tune (June), with illustrations by Marijke Simons, is a rollicking, lyrical journey through 1950s’ Halifax. In Swimming With Seals (April), by Maggie de Vries, illustrated by Janice Kun, a young girl who is sadly unable to live with her mother learns that they share a bond through their mutual love with swimming. And wordless picture book The Fish and the Cat (April), by Marianne Dubuc, is a playful story of pursuit between a cat and pet fish that starts in the house, moves through the neighborhood, and ends in the sky with a chase around the stars and the moon. Annika Dunklee's new book is A Fire Truck For Chuck (March), illustrated by Cathon, a perfect read-aloud for preschoolers. 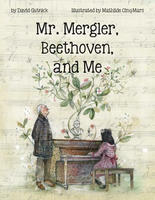 Documentary-maker David Gutnik’s Mr. Mergler, Beethoven, and Me (March), illustrated by Mathilde Cinq-Mars, is inspired by the life of musician Daniel Mergler and tells the story of an elderly piano teacher who takes a young music student under his wing and changes her life. Sara Ellis’s latest Ben story is Ben and the Scaredy-Dog (April), illustrated by Kim La Fave, in which Ben has to overcome his fear of dogs. And the board book Forest Baby (March), by Laurie Elmquist, illustrated by Shantala Robinson, takes on a baby's-eye-view of a walk through the woods in the carrier. A boy is forced to teach his father about good sportsmanship in The Day My Dad Joined the Soccer Team (April), by Maureen Fergus and Mike Lowery. 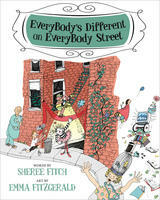 Sheree Fitch’s EveryBody’s Different on EveryBody Street (April) is reissued with illustrations by Emma FitzGerald, celebrating our gifts, our weaknesses, our differences, and our sameness. Careful clues invite the child to guess what's coming next, and rhythm and repetition invite early readers to try out reading Who Can? (March), by Charles Ghigna and Vlasta Van Kampen, all on their own. And the turtles in the pond at Toronto's Allan Gardens are celebrated in James Gladstone's Turtle Pond (May), illustrated by Karen Reczuch. Life in a wolf pack is vividly portrayed When Wolves Howl (May), a lavishly illustrated picture book by award-winning author and illustrator, Georgia Graham. Elise Gravel explores the science of some of nature’s weirdest and wildest mushrooms in The Mushroom Fan Club (May). Journalist Sarah Hampson’s debut picture book is Dr. Coo and the Pigeon Protest (April), illustrated by Kass Reich, a celebration of the diversity inherent in a big city and a lesson on how looking for the good in others is the best way to get along with them. And based on award-winning poet Robert Heidbreder’s childhood, the read-aloud poems in his Rooster Summer (April), illustrated by Madeline Kloepper, show the tender relationship between children and their grandparents. 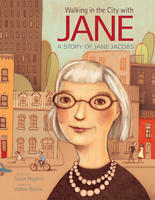 Susan Hughes fictionalizes the story of Jane Jacobs in Walking in the City with Jane (April), illustrated by Valérie Boivin. Hughes has also written What Happens Next (March), illustrated by Carey Sookocheff, a raw, realistic story told by an unnamed protagonist who is made to feel different from everybody else, which makes for a powerful starting point for discussions of emotions, empathy, and how we relate to others. And The Snuggly (April), by Glen Huser and Milan Pavlovic, is about a new brother who's fascinated with the capacity of his baby sister's carrier. Matt James' The Funeral (April) is a gorgeously illustrated story showing the ways in which death is a part of life, from the perspective of a young girl at her uncle's funeral. Deborah Kerbal and Suzanne Del Rizzo team up for Sun Dog (May), an intimate romp with a young puppy and a sweeping celebration of the vast and beautiful tundra. Jessica Scott Kirren's debut picture book is The Better Tree Fort (March), illustrated by Qin Leng, which explores the idea of keeping up with the Joneses—and what that means when you’re a kid with a tree fort. 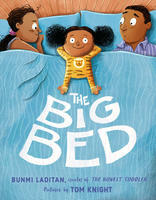 Fans of "The Honest Toddler" (and children of those fans) will not be disappointed: Bunmi Laditan's first picture book is The Big Bed (February), a humorous picture book about a girl who doesn't want to sleep on her own. Thao Lam follows up the acclaimed Skunk on a String with Wallpaper (April), about a young girl who has moved to a new house and who picks at the old wallpaper in her room to reveal an entryway to a fantastic imaginary adventure world behind the walls. And Andrew Larsen captures the special bond between a boy and his grandfather (and their bagels!) in The Bagel King (May), illustrated by Sandy Nichols. When drinking out of a glass backward fails, will anything offer some relief in Harry's Hiccups (April), by Jean Little, illustrated by Joe Wiessmann? Governor General’s Award-winning writer Michèle Marineau’s Wash On (April), illustrated by Manon Gauthier, is a gleeful adventure with a mischievous heroine. The amazing Kyo Maclear is back with Flo (January), about a little panda who adores relaxing…a little too much. 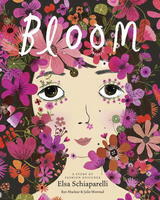 She also releases another book Julie Morstad, Bloom (February), a picture book biography of fashion designer Elsa Schiaparelli. Ian McAllister follows up Wolf Island and A Bear's Life with The Seal Garden (March), with photographs revealing the beauty and the mystery of seals' underwater places of refuge. Get Me Another One (December), by Robert Munsch and illustrated by Mike Boldt, is a simple story about a great day of fishing for a girl and her dad—with a whimsical, fantastical, outrageous Munschian twist. Nicolas Oldland's Hop Into Bed! (January) is perfect for every child who's reluctant at bedtime, with a gentle reminder that rest is needed and a new day awaits. 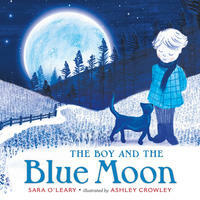 Sara O’Leary’s latest picture book is a nighttime adventure story, The Boy and the Blue Moon (February), illustrated by Ashley Crowley. And award-winner Caroline Pignat’s first picture book is Poetree (April), an intriguing blend of carefully composed verbal images, knit together with extraordinary visuals by the award-winning François Thisdale. Bestseller Peter H. Reynolds The Word Collector (January) is about the magic of words and their power to connect, transform and empower. Anne Renaud’s latest historical book for children is Fania’s Heart (March), illustrated by Richard Rudnicki, about a birthday card, crafted against all odds within the confines of Auschwitz. A gentle introduction to the issue of poverty, On Our Street (February), by Dr. Jillian Roberts and Jaime Casap, explores the realities of people living with inadequate resources. Don’t waste your time with Nothing Happens in This Book (May), by Judy Ann Sadler and Vigg Vigg—but wait! Something amazing happens after all! Kim Smith's latest Pop Classic Picture Book is Back to the Future (April), capturing the classic moments of the film for young readers and long-time fans alike. And a garden sprite comes across a garden gnome, and falls in love in Lori Joy Smith's I Love You Like... (May). Explore the Rocky Shore with Sam and Crystal (April), by Gloria Snively and Karen Gillmore, teaches children about the marine ecosystems of coastal Pacific rocky shores. Tree Song (April), by Tiffany Stone and Holly Hatam, follows the life cycle of a tree as it grows from seedling to mature tree, and finally gives way to a new sapling. 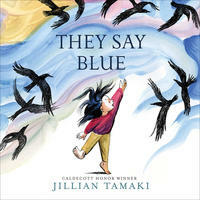 Caldecott and Printz Honor-winner Jillian Tamaki's first picture book is They Say Blue (March), a poetic exploration of colour and nature from a young child’s point of view. Jeremy Tankard's Bird is back in Sleepy Bird (February), in which Bird is unwilling to consider that the party might be over. And Jan Thornhill follows up The Tragic Tale of the Great Auk with The Triumphant Tale of the House Sparrow (April). In Ten Cents a Pound (April), by Nhung N. Tran-Davies and Governor-General’s Literary Award-nominated Josée Bisaillon, a young girl is torn by her desire to stay home with her family and the familiarity of their village, and her desire to go to school. Toes are amazing, which you'll already know if you've ever watched a baby discover hers; award-winner Sarah Yi-Mei Tsiang celebrates the wonder of toes in the board book Toesy Toes (April). 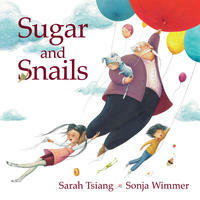 Another picture book by Tsiang, for readers just a little bit older, is the excellent Sugar and Snails (March), illustrated by Sonja Wimmer, challenging the stereotypes in the nursery rhyme about what little boys and girls are made of, and just as magical of Tsiang's A Flock of Shoes. Inspired by the German Expressionist group known as Der Blaue Reiter (The Blue Rider), Geraldo Valério has created a wordless book that speaks volumes about how art can transform us beyond the sometimes-dreary world of the everyday in Blue Rider (March). A small town lives in terror of the Outlaw, but one day, he disappears—and then a mysterious stranger rides into town in Nancy Vo's The Outlaw (May). 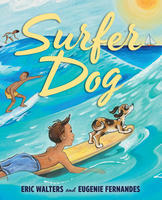 Award-winning author Eric Walters navigates the waters of a unique friendship alongside the vibrant illustrations of Eugenie Fernandes, in Surfer Dog (February). 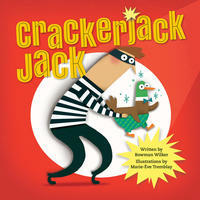 Crackerjack Jack (March), by Bowman Wilker and Marie-Ève Tremblay, is a book about a robber, a wisecracker, firecracker, knuckle-cracking crook named Jack who devises a ploy to rob a bank, with a duck as his unlikely accomplice. Publisher Margie Wolfe and her cousin Pnina Bat Zvi tell the true story of their mothers’ promise to “always, stay together,” which helped them to survive Auschwitz, in The Promise (April), illustrated by Isabelle Cardinal. Julie Zwillich and Denise Holmes follow Phoebe Sounds It Out with Not 'Til Tomorrow, Phoebe (March), a story that offers gentles lessons about waiting and time. Angela Ahn’s debut is Krista Kim-Bap (April), about a fifth grader trying to figure out her identity in relation to her Korean heritage. Victoria Allenby’s new Timo book is Timo Goes Camping (March), illustrated by Dean Griffiths, in which Timo braves a night in the wild. The follow-up to Shane Arbuthnott's Dominion is Terra Nova (March), which, as Tim Wynne-Jones writes, packs "imaginative, thought-provoking, enviro-political clout". A summer on an idyllic island surrounded by water and wildlife. What could possibly go wrong? Becca is about to find out in Becca Fair and Foul (May), by Deidre Baker, the sequel to Becca at Sea. And remembering her lines is the least of Ava's worries in Casting Lily (March), by Holly Bennett, about a young actor in her first professional production. When cousins, Ford, Ellie and Gavin, discover their great-grandfather was a rogue World War Two spymaster, they must outrun MI6 and the CIA through the streets of Paris in Family of Spies (April), by Jodi Carmichael. Tournament Trouble (March) marks the first book in a planned series by Sylv Chiang, chronicling the ups and downs of middle school with a relevant, contemporary twist. Jan Coates’ Talking to the Moon (May) is about a young girl who discovers the truth about her past—her own past and that of others—during a summer in Lunenburg, Nova Scotia. And The Whirlpool (May) is a collection of short stories about the whirlpool of adolescence from Boston Globe–Horn Book Award winner Laurel Croza. Newbery Medallist Christopher Paul Curtis tells the story of a boy struggling to do right in the face of history’s cruelest evils in The Journey of Little Charlie (January). Anita Daher's Forgetting How to Breathe (April) is the story of a thirteen-year-old girl in foster care who finds a way to deal with the hurt of the past and accept the love that surrounds her. And award-winner Philippa Dowdling’s latest is Oculum (February), about children who awaken after environmental collapse and begin to rebuild their lives both inside and outside the domed city of Oculum. She also releases Alex and the Other (March), in her “Weird Stories Gone Wrong” series. Deborah Ellis's award-winning, bestselling and Oscar-nominated The Breadwinner has been turned into a graphic novel (January), adapted by Nora Twomey. An escaped lion is hiding in the middle of the city, and it is up to Sadie and Theo to save him in Cary Fagan's latest, The Hollow Under the Tree (May). Jacqueline Halsey’s new book is Piper (April), set aboard the Hector, the brig that brought the first Scottish immigrants to Nova Scotia. And Secrets of Sable Island (May) is the first book by Marcia Pierce Harding, a mystery adventure set on nineteenth-century Sable Island. In Karen Hood-Caddy’s Leatherback Blues (February), Robin faces dangerous poachers while trying to help save a leatherback turtle sanctuary in Central America.Through 26 letters to her friend Nina, twelve-year-old Kasey chronicles the often humorous observations and impressions of her unexpected, month-long stay in a geriatric ward for the treatment of a rare but treatable bone disease in Kasey and Ivy (March), by Alison Hughes. Against an ominous background of the impending Holocaust in Europe and the first Arab-Israeli war, The Sound of Freedom (March), by Kathy Kacer, still manages to remind the reader of the goodness in the world. Roy MacGregor launches a new series of hockey books with The Ice Chips and the Magical Rink (February), with Kerry MacGregor, and illustrated by Kim Smith. The third book in Sylvia McNicoll’s Great Mistake Mysteries series is The Snake Mistake Mystery (January), where a thunder storm, a power outage, several break-ins, and a missing pet launch Stephen and Renee into action. The fifth book in Andreas Oertel’s The Shenenigans Series, which Quill & Quire has called “fun [and] engaging…for adventure and history buffs” is In Too Deep (April). The latest title in Liam O'Donnell's Tank and Fizz series is Tank & Fizz: The Case of Firebane's Folly (February). And Angelica isn't a liar. She just loves making up stories, and when she goes to sleepaway camp and is mistaken for a princess, she could easily clear up the misunderstanding...but what happens instead makes for a better tale in Princess Angelica: Camp Catastrophe, by Monique Polak. The Princess Dolls (May), by Ellen Schwartz and illustrated by Mariko Ando, is set against the backdrop of an atmosphere of increasing hostility and racist attacks upon the Japanese community in Vancouver during World War Two. Simone is back in Remy Simard's Simone: Even More Monstrous (April). Krystia’s family is hiding Jews from the Nazis, and the risks are immense in Marsha Forchuk Skrypuch's Don't Tell the Enemy (January). Modo, who first made an appearance in Arthur Slade's The Hunchback Assignments, returns in Modo: Ember's End (February). Slade also releases Crimson (May), about a ruthless queen, an ancient god, one brave girl and an impossible choice. Ebb and Flow (April), by Heather T. Smith, is a novel in free verse about rough times and the possibility of fresh starts. Ashley Spires' PURST Adventure series continues with Gordon: Bark to the Future (May). How to Spot a Sasquatch (May), by J. Torres and Aurélie Grand is the story of a boy and a sasquatch who prove that that nothing is impossible when it comes to friendship. In Slip Jig Summer (March), by Elizabeth J.M. Walker, a ballet-obsessed teen falls in love with Irish dancing. In Janet Wees’ When We Were Shadows (April), a boy and his family stay one step ahead of the Nazis in the Netherlands during World War Two, and hide to save their lives. And Nick gets tired of being a superhero sidekick in Nick the Sidekick (April), by Dave Whamond, and so when he overhears a gang of criminals planning a bank heist, he decides the chance to prove himself has finally arrived. In Suitors and Sabotage (April), Cindy Anstey delivers another witty young adult historical fiction novel that is the perfect mix of sweetly romantic and action-packed. Tanaz Bhathena's debut novel is A Girl Like That (February), which Jodi Picoult has praised as "Unlike any YA book I've ever read . . . fascinating and disturbing." A teenage girl learns to live right in a world that keeps telling her she's wrong in Brooke Carter's Learning Seventeen (January). And award-winning Emily Carroll has illustrated the graphic novel edition of Laurie Halse Anderson’s acclaimed Speak (February). Big Water (March), by Andrea Curtis, is a fictional account of the real-life story of the only two survivors of the sinking of the SS Asia in 1882.Hadley Dyer’s new YA title is Here So Far Away (March), a story of finding love and finding a way back from unthinkable loss. The latest in Inanna Publications’ Young Feminist Series is The Discovery of Flight (May), by Susan Glickman, which weaves together the stories of two sisters, the elder of whom is disabled and can only communicate via assistive technology. Two teenaged loners establish an uneasy truce in Ophelia (March), by Charlotte Gingras and Daniel Sylvestre, translated by Christelle Morelli and Susan Ouriou, a visually arresting, one-of-a-kind collage-style novel. Golden Hour (May) is the fourth and final book in the Chantel Guertin’s Pippa Greene series, offering a fresh and charming perspective on friendship, family and first love. Death by Dinosaur (May) is the latest by the acclaimed author, and recent Order of Canada inductee, Jacqueline Guest, the story of a summer working at the Tyrell Dinosaur Museum in Drumheller, Alberta, that turns out to be more dangerous than anyone suspected. And Lisa Harrington’s The Goodbye Girls (April) takes a frank and funny look at breakup culture and entrepreneurship gone oh-so-wrong. Fire Song (March) is an adaptation of Adam Garnet Jones' award-winning feature film debut. Lesley Livingston’s latest is The Defiant (January), in which Fallon and her warrior sisters find themselves in competition with a rival gladiator academy. Caroline Misner’s The Spoon Asylum (May) is a story of jazz and racism in small town Northern Ontario during the 1930s. And Sarah Mlynowski’s new teen novel is I See London, I See France (April), about a girl learning to navigate secret romances, thorny relationships, and the London Tube. Celebrated South-African/Canadian writer Kagiso Lesego Molope’s award-winning This Book Betrays My Brother (May) is finally published in Canada, a story about the bonds of sibling love and loyalty, and a young woman’s role in a complicated world. Colleen Nelson and Nancy Chappell-Pollack's Pulse Point (May) is set in a future where the climate has made the world inhospitable to humans. And the second book in Mary Jennifer Payne’s Daughter of Light series is Solomon’s Ring (January), in which the demon-haunted Seers are in a race against time to return a stolen ring, as the final showdown draws near. Karen Rivers’ All That Was (January) is the tale of a love triangle gone deathly wrong. In Shark (February), by Jeff Ross, a seventeen-year-old boy's talents for pool lead him into trouble. According to Alice Kuipers, Kristine Scarrow’s The 11th Hour (February) is “fast-paced as it cuts to the heart of what it means to be in love and yet to be lost.” And Alisha Sevigny’s Summer Constellations (May) is a story of lost summers, hidden treasure and love written in the stars.